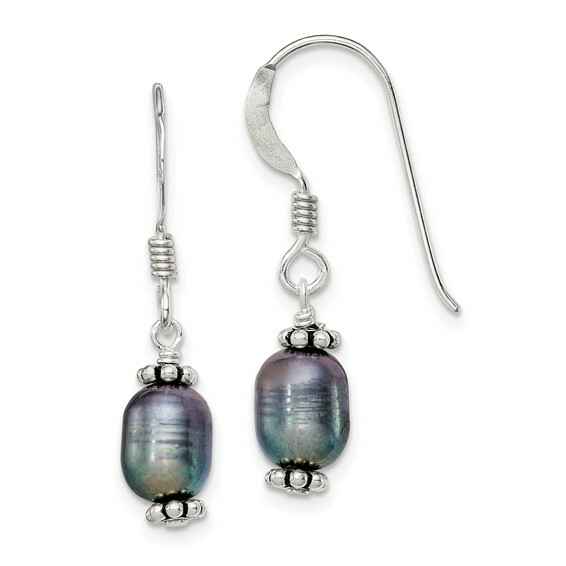 Sterling Silver Black Cultured Pearl Dangle Earrings. Weight: 2 grams. Entire earring measures 1 inch tall.